A short bio of the Moodists from one of the few historical attempts to wtite about Australian music. . Just the facts. Classic line-up: Dave Graney- vocals , Steve Miller- guitar, Clare Moore -drums, Chris Walsh- bass, Mick Turner- guitar. Double Life (UK only, Red Flame/Virgin, 1985). During the 1980s, The Moodists were something of a well-kept secret. In fact, over six years of existence the band spent only half that time in Australia. In the UK, where the band based itself for three years, it was a different matter. There The Moodists were acknowledged as proto-grunge noisemakers. The band's name is often mentioned in the same breath as The Birthday Party, Laughing Clowns, The Go-Betweens, The Triffids and -Scientists when assessing Australia's contribution to 1980s British music. Nevertheless, The Moodists were an important band in the history of Australian rock, not least of all for giving us the wonderful Dave Graney. Boys', in 1979 before relocating to Melbourne at the beginning of 1980. Graney, Moore , Dealey ( who soon left to return to Adelaide ) and Miller made the move to Melbourne, where they were joined by Chris Walsh (ex-Negatives, Fabulous Marquises) who replaced original bass player Steve Carmen. Walsh's previous band, The Fabulous Marquises, virtually had "inner-city supergroup" status from the outset. As well as Walsh, the band comprised Mr Pierre (real name Peter Sutcliffe; vocals, guitar; ex-Teenage Radio Stars, JAB, Models), Edward Clayton-Jones (guitar, synth) and Katherine Denney (piano, organ). The band formed after Mr Pierre had been ousted from the nascent Models in late 1978. The Marquises' sound was sparse and electronic. The band's solitary single, `Honeymoon'/`1,2,3, Factory' (September 1980), was initially included as part of the Unforgettable Music Box Set of three singles, alongside Ron Rude's Piano Piano and Microfilm. Ron Rude (head of the Unforgettable Music label) produced The Marquises' single. Rude also included the Marquises' track `From My Heart to My Hands' on the Various Artists album From Belgrave with Love (1981). -Clayton-Jones was later in The Wreckery. The Moodists played gigs on the St Kilda/Carlton inner-city circuit alongside the likes of Models, Whirlywirld, International Exiles, Little Murders and the nascent Hunters & Collectors. reviews in the UK music press, and the Red Flame label issued it at the end of 1983. Even before The Moodists had established a reputation beyond the independent scene in Australia, they had decided to relocate to the UK. 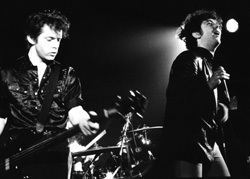 The band left for London in October 1983, where they played gigs with fellow expatriates The Go-Betweens and Nick Cave. In 1984, Red Flame issued the band's full-length debut album Thirsty's Calling (April), plus the singles "Runaway"/"Chevrolet Rise" (April) and "Enough Legs to Live on"/"Can't Lose Her"
(October). The album again drew favourable reviews, although the fickle UK music press tended to harp on about The Birthday Party comparisons. Even such ludicrous descriptions as "garage jazz-punk" only hinted at the band's powerful sound. 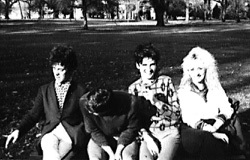 The Moodists toured Europe and the USA before returning to Australia in November 1984. In the meantime, Red Flame issued the band's second mini-album, "Double Life", which contained tracks like the rumbling "Six Dead Birds". Following a support slot to UK visitors Public Image Ltd in January 1985, Mick Turner left the band. By May, The Moodists had returned to the UK . With the change of personnel, The Moodists underwent a musical transformation as well. The 12-inch EP "Justice and Money Too" (on the Creation label; August 1985) featured light, bluesy pop augmented with strings and piano. 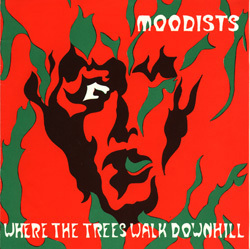 The band issued two more 12-inch EPs (on the Tim/Abstract label), "Take the Red Carpet Out of Town" (October 1985) and "The Moodists" (February 1986). They revealed that, while The Moodists had toned down somewhat, the band had lost none of its ability to craft unique and compelling songs. 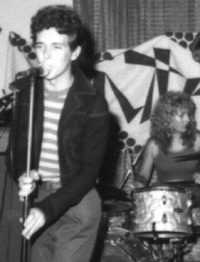 By that stage, Walsh had already left the band to return to Australia, and The Moodists recruited another alumnus, David McClymont (ex-Orange Juice) , as replacement. By the middle of 1986, The Moodists had split up. Miller became tour manager for The Triffids and Graney abandoned the band concept for a year. 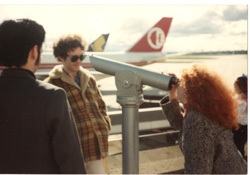 In 1987, with Clare Moore , he launched his new band, Dave Graney with the Coral Snakes. Walsh later rejoined Graney in The White Buffaloes; by 1996, Steve Miller was playing in a band called Love Moods with Bruce Milne. Mick Turner was in the Dirty Three.